Movi is a three way compact speaker. 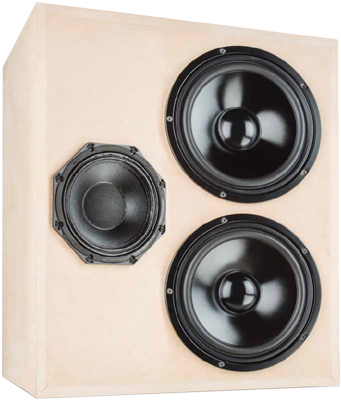 Movi is a closed-cabinet loudspeaker with drivers of Monacor and Visaton. The frequency response of this speaker is not perfectly linear. The decay spectrum as shown in the waterfall diagram shows some resonances also above 2 kHz . At low volume, i.e. 85 dB at 1 m, the nonlinear distortions are lower than 1% above 400 Hz and doesn't exceed 2.5% at 95 dB at 1 m between 400 and 10000 Hz. Note: We deliver foam in the form of egg crate, instead of hemp to dampen the cabinet.